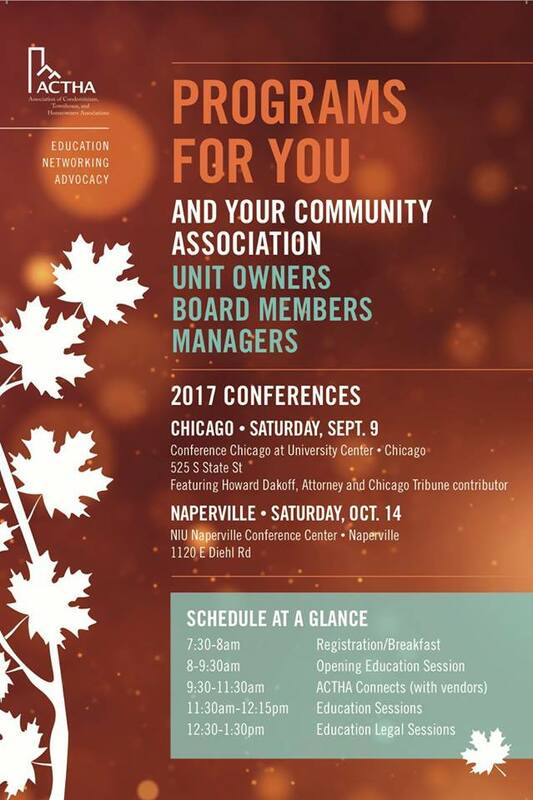 K&H’s Peter Power, RA & Principal will present with Janice Avery, Property Manager w/ FirstService Residential Illinois at the September 2017 ACTHA Conference. Pete and Janice will discuss “Major Projects: Strategies to Control Costs”, and share effective strategies to keep projects within budget and without headaches! The role of a project manager and the importance of specifications will also be discussed. View the event below for more details.